Sydney’s Favorite Saucy Shrimp Scampi Recipe! This is such a SIMPLE and decadent meal in minutes! My 10 year old daughter, Sydney requests this weekly, and can make it by herself – as long as I keep her ingredients stocked! Heat a large sauté pan on high heat then reduce to medium high. Stir butter and oil around the pan. Sauté garlic, red pepper flakes, for a minute or two. Add the wine and shrimp, stir to coat the shrimp with the sauce. 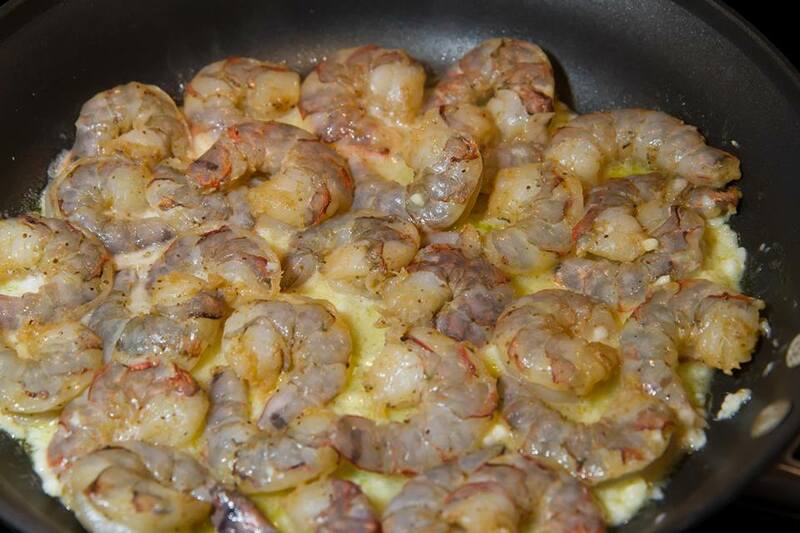 Lay shrimp so they are in an even layer in the pan. Increase the heat to high and bring the wine to a boil for two minutes. Turn shrimp to cook on the other side, continue to cook on high heat for another minute. Remove pan from heat. 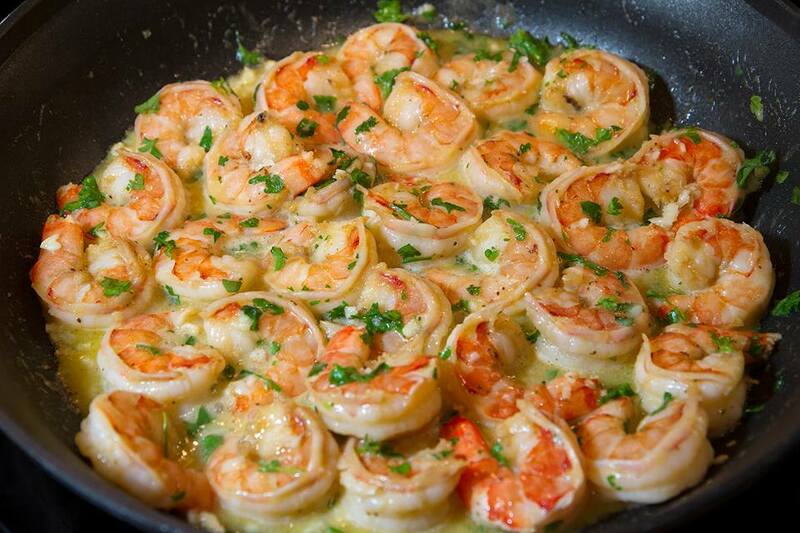 Sprinkle the shrimp with parsley, lemon juice, and black pepper.